Well-lit rooms that open to a glass walled corridor allowing the guests to enjoy the buzziness of the city. The Sri Sai Guru Comforts offers some spacious rooms at pocket-friendly prices. 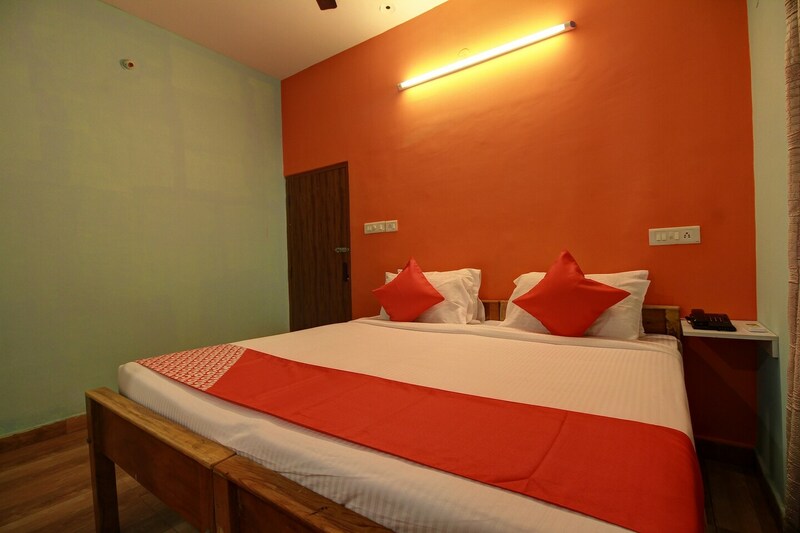 The rooms are extremely spacious and have been painted in warm colors such as orange and yellow. The rooms have a rustic feeling to them and have a soothing effect on the guests. The aisles between the rooms are well-lit and quite wide. All rooms are well-furnished and the provision of artificial lights at proper positions makes the rooms well-lit. The extra facilities provided by the hotel are CCTV cameras, card payment in all forms, a constant power backup facility and free Wifi. The front desk service can be located easily and is managed by a team of experienced and helpful staff.